The SpecAir Speciality Gases product line offers a refillable, portable calibration gas cylinder as an alternative to standard disposable cylinders. 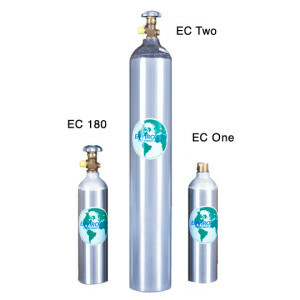 The Enviro-Cyl product calibration gas cylinder offers many advantages over disposables. Enviro-Cyl cylinders all come with a brass or stainless steel valve, safety-on cylinder valve, and a 5-year DOT stamp.